With summer coming up I know we will all be getting the grill ready to fire up and start cooking all those yummy grill foods. 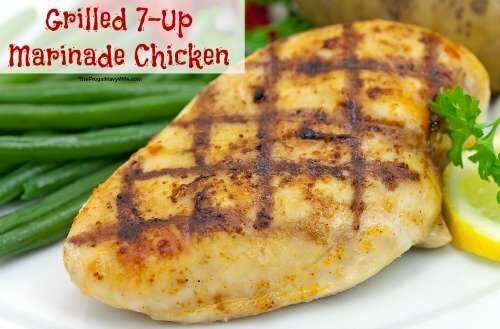 One of my favorites is this 7up chicken marinade! Flatten the chicken (pound it) so you have as much surface to work with. Then poke holes all over with a fork. Place chicken in a pan or large ziploc bag and pour marinade over top and cover. Place in fridge.